Critical Reasoning (CR) questions test your logical reasoning abilities, particularly in terms of making and evaluating arguments. CR questions offer a short paragraph (called a stimulus), which is typically less than 100 words in length, followed by a question stem and five answer choices. GMAT CR questions overall tend to be easier and less-nuanced than the logical reasoning questions found on the LSAT. Some stimuli contain only facts, and you are then typically asked to form a conclusion based on those facts. But most stimuli contain an argument, and the question stem somehow pertains to the argument. If the stimulus contains an argument, try to identify the argument’ss primary conclusion. A conclusion can appear anywhere within a stimulus, and is often (but not always) associated with a keyword such as therefore, thus, hence, demonstrates that, as a result, and conclude. Sometimes the conclusion is a cause-and-effect relationship, something worth identifying if that’s the case. It is also helpful to identify reasons upon which the conclusion is based. These reasons (called premises) are often associated with a keyword such as because, since, assuming, due to, and given that. Finally, many arguments contain one or more assumptions, unstated facts upon which the conclusion depends; assumptions are important to look out for as well. When reading the question stem, it is essential to identify what the question is asking you to do. According to the GMAT Genius classification system, there are six primary and three applied question types. Each question type has certain techniques that can help you choose the correct answer. Weaken – correct answer points out a flaw in the argument or makes the conclusion less likely to be true. Strengthen – correct answer improves the stimulus’ argument or makes the conclusion more likely to be true. Assumption – similar to strengthen, but correct answer is absolutely necessary for the conclusion to be true. 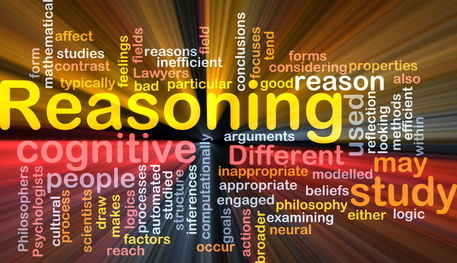 Reasoning – either describe the flawed reasoning within an argument or find an argument with similar reasoning. Conclusion – draw a conclusion or inference from the information in the stimulus, or identify what must be true based on the stimulus. Explain – correct answer reconciles two seemingly contradictory statements that appear in the stimulus. Evaluate – find information that would help you evaluate the argument (e.g. whether the conclusion is valid). Boldface – identify the role of two boldfaced portions of the stimulus; many students find these particularly challenging. Complete the Passage –	based on the context of missing part of the passage, these can be any of the above question types. Some GMAT preparation companies recommend that you read the question stem before reading the stimulus. We disagree. There are two disadvantages to reading the question stem initially. First, you tend to look for a certain answer while reading the stimulus and may overlook subtleties within the information presented. Second, after you read the stimulus, you will inevitably have to read the question stem again, either because you forgot what the question was asking or you didn’t have the context of the stimulus to fully interpret the question. As a result, you waste valuable time. In our experience, it is better to critically read and evaluate the stimulus before worrying about what the question is asking. After doing so, you can often identify (or at least narrow down) the correct answer to the question without having to refer back to the stimulus. It’s no surprise to us that some of the best LSAT preparation companies recommend reading the stimulus before the question stem. That said, we believe that you should identify which approach works best for you. Try 10 CR questions at one go, reading the stimulus before the question stem on five questions and then reading the question stem before the stimulus on the next five questions. At that point, you should recognize which approach you prefer. After carefully reading the stimulus and question stem, consider the five answer choices. As with other verbal questions, process of elimination is important. We recommend that you take a first quick pass through all five answers to familiarize yourself with the options and to eliminate answers that are definitely wrong. Do not spend much time evaluating answers in the first pass, because you may identify a subsequent answer as the correct choice. Only after the first pass, take a second pass at the worthwhile answers, referring back to the stimulus as necessary to choose the correct answer. There are far fewer kidney donors available than there are people who need kidneys. In the U.S. alone, 95,000 people currently wait on the official kidney transplant list. But in 2012, the last year for which figures exist, just 16,500 people received a kidney transplant. Which of the following statements, if true, most strengthens the author’s claim that there are far fewer kidney donors available than there are people who need kidneys? (A) The number of people on the official kidney transplant list has increased dramatically since 2012. (B) The number of kidney transplants in the current year is greater than the number of kidney transplants in any preceding year. (C) People on the official kidney transplant list generally are valued members of society. (D) People who need kidneys often go through a long process of medical testing and evaluation by doctors. (E) The number of kidney transplants in a year is approximately equal to the number of available kidney donors in that period. The first sentence of the stimulus is the conclusion: there are far fewer kidney donors available than there are people who need kidneys. This is a classic supply-demand imbalance issue. The supply (available kidney donors) cannot meet the demand (number of people on the kidney transplant list). Although we know this to be true in the real world, we must consider whether the author offers an airtight argument. The years are different. We do not know how many people were on the official kidney transplant list in 2012, nor do we know how many kidney transplants currently occur. Perhaps only 16,500 people were on the official transplant list in 2012 and perhaps 95,000 kidney transplants will take place in the current year. If so, there really is no supply-demand imbalance. We are told the number of kidney transplants that occurred in 2012, but we do not know how many kidney donors were available. The author is assuming that the number of kidney transplants is a good proxy for the number of available donors, but this doesn’t necessarily have to be the case. Perhaps the number of available donors was equal to the number of people on the transplant list, but far fewer transplants occurred for some other reason, such as bureaucratic snafus. This is a strengthen question, as indicated by the words “most strengthens” in the question stem. For these questions, incorrect answers will either be irrelevant or actually weaken the argument (the opposite of our objective). Our correct answer will most likely focus on fixing one of the flaws that we identified within the argument. (A) This answer relates to the first flaw that we identified in the argument, but actually weakens the argument. By stating that the number of people on the official transplant list has increased dramatically, we know that significantly fewer people were on the list in 2012. So perhaps there was not a big difference between the number of people on the list in 2012 and the number of transplants in 2012. (B) As with answer A, this also relates to the first flaw and weakens. By stating that the number of transplants in the current year is greater than preceding years, it indicates that the current year transplants is closer to 95,000 than we were previously led to believe. Admittedly this answer does not say how much bigger the current year number is, but we do know that it is bigger than 16,500. So it definitely does not strengthen the argument. (C) This answer is simply irrelevant. By stating that those on the transplant list are valued members of society, it indicates that the supposed supply-demand imbalance is a big concern. After all, if the transplant list consisted only of violent criminals, we may not be as concerned about the supply-demand imbalance. But regardless of who is on the list, this answer does not have relevance as to whether a supply-demand imbalance exists. (D) This answer is also irrelevant. By stating that those on the transplant list undergo extensive testing and evaluation, it indicates that those on the list truly need a kidney. They are not placed on the list frivolously. But as with answer C, this does not have relevance as to whether a supply-demand imbalance exists. (E) This is our correct answer, because it fixes the second flaw that we identified in the argument. By stating that the number of kidney transplants in a year equals the number of donors, we can now say that 16,500 donors were available in 2012. We were thus incorrect in our speculation that perhaps we had far more donors available, but few transplants due to another reason such as bureaucratic snafus. By removing some doubt, we have strengthened the argument. Remember that our correct answer for a strengthen question does not have to fix every flaw in the argument; it just has to improve the argument in some way.